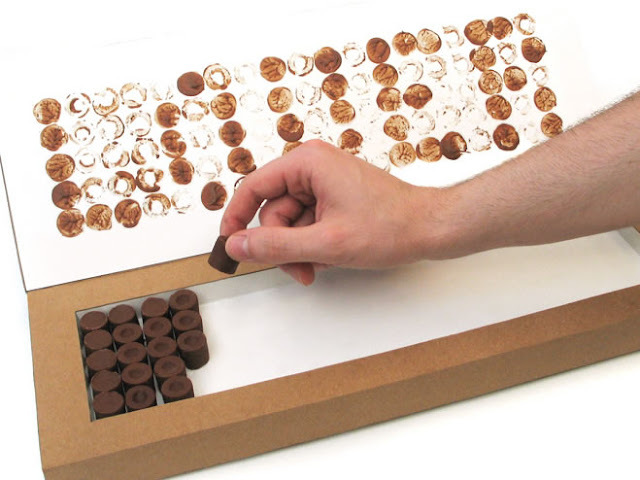 Designer Jamie Wieck gives chocolate-giving an update with this clever idea: printable chocolates. 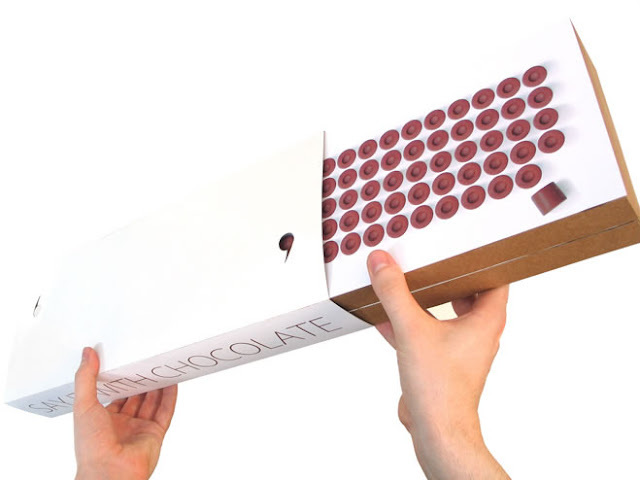 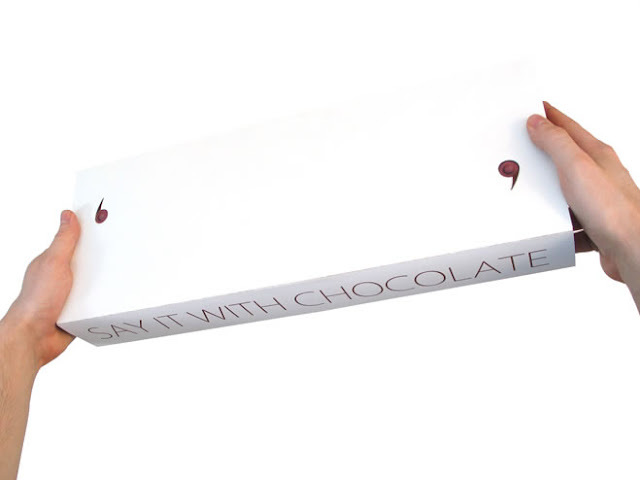 The individual chocolate “pegs” can be arranged in a box to form a word or short message that is printed on the top inside of the box (thanks to chocolates with a low melting point which allows the chocolate to melt even in room temperature). 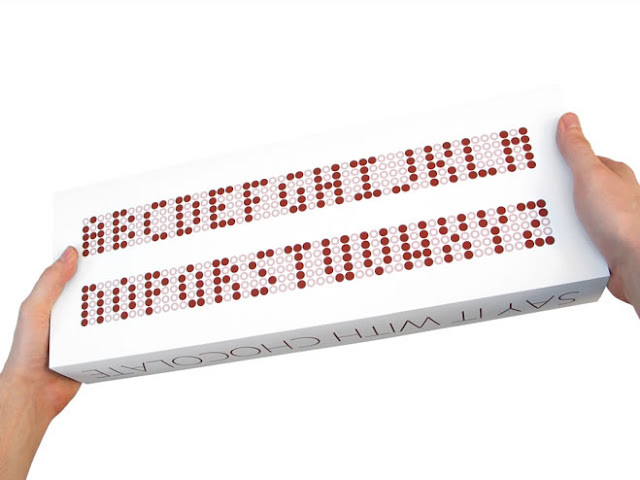 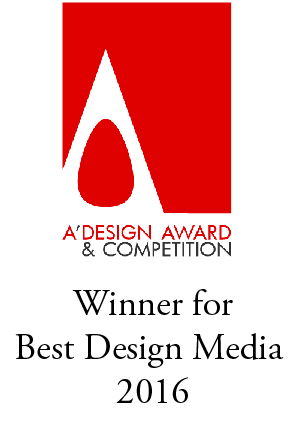 Unfortunately, it’s only concept, but hopefully something like this gets mass production.